This summer has probably been one of the best summers i’ve ever had, and we as a country has had in a very long time! Almost three months of absolute glorious sunshine (except it chose my birthday of all days to rain for the first time in weeks – yes i’m over it I swear) and it’s true when they say a bit of sunshine can make anyone happy! 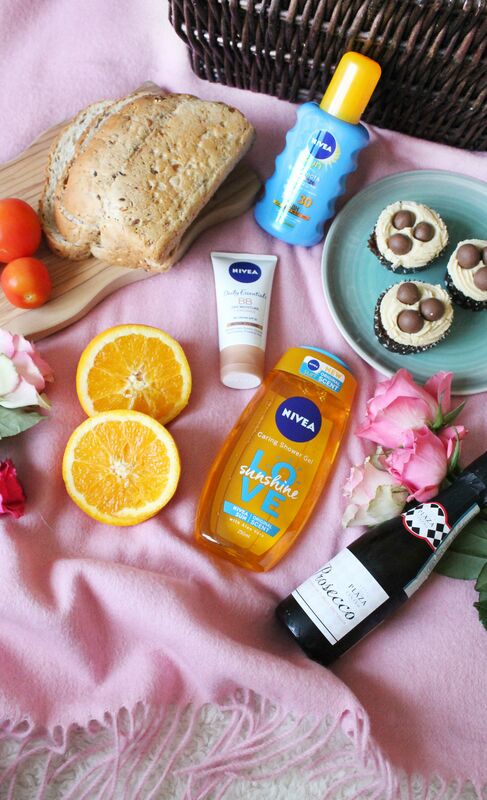 As we begin to move into the chillier days, I thought i’d reminisce and clutch onto summer a little longer with a little bit of help from Nivea. Looking back on the summer i’ve loved to nothing but being outside and enjoying as much of the sunshine as I possibly can and many days were spent chilling (napping) in parks, walking around my local home town and doing a spot of sight seeing and generally enjoying every moment summer has brought us. With that comes protecting my skin from the sun in more ways than one and I thought i’d share some tips on how i’ve been protecting my skin and what products i’ve been using. Being a natural red head and having very fair skin it’s safe to say I burn like no other. I can be sat out in the sun for as little as 20 minutes and believe me I will burn, so wearing SPF is always a big thing for me but i’ve definitely been more aware of it this summer. Of course there have been a few days where i’ve not worn any purely out of spontaneity but for the majority i’ve been opting for the Nivea Protect & Bronze SPF30 Sun Spray* (£15.99). 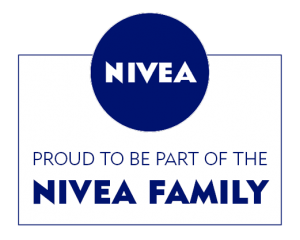 When it comes to sun cream i’ve always used Nivea products and their factor 50 lotions have been repurchased year after year as they are the only sun creams i’ve used that I don’t burn with. On days out when i’m moving around or i’m not in full view of the sun I prefer to opt for a factor 30 as I find them less heavy, and what I love about this one is that I find it actually help to enhance a very slight hint of a natural tan which just never happens for a fair skin gal like myself but most importantly I didn’t burn once over the summer months. One area of SPF i’ve always struggled with is my face as I find most sun creams in general break my skin out especially on my face and I find although most foundations I use have SPF I still manage to burn my nose and forehead no matter what. I also found during the summer months that wearing a full face of makeup to be too much and within an hour or two it had melted off my face. One product I aboslutely loved using is the Nivea BB Cream (Medium to Dark)* (£5.99) which contains SPF 25 but also has 24 hour moisture which is everything i’d need or want in a BB cream. Colour match wise I found it to be spot on, especially when i’ve fake tanned as I never put tan on my face and it also feels so light on the skin throughout the day, so much so that you wouldn’t even know you were wearing foundation. Last but not least the main thing I typically worry about during in summer is smelling good because let’s face it we all sweat during the summer and probably go through copious amounts of deodorant and perfume to do so, but one thing that I also find really helps is using a showergel that has a lovely fresh scent. 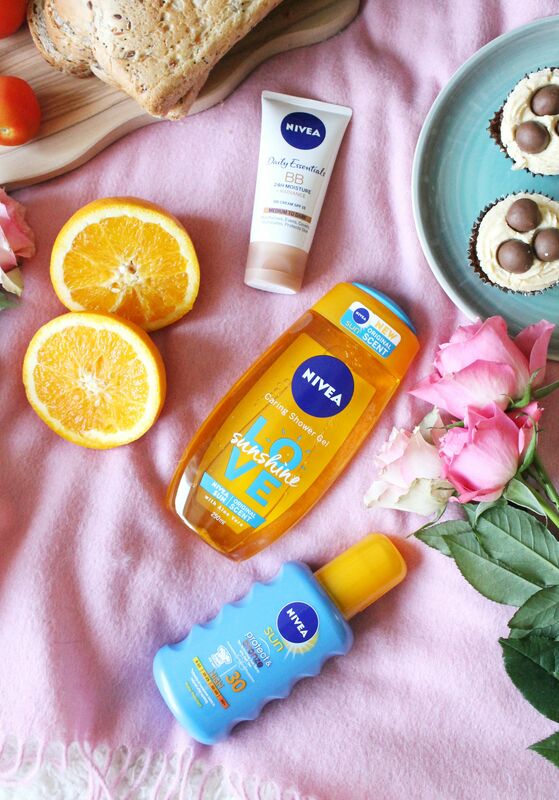 Nivea have recently released their Sunshine Love Shower Gel* (£1.99) which is literally like summer in a bottle as it has the scent of their sun creams which I absolutely love! What I love about this shower gel is how the scent lingers on your skin all day and instantly makes you feel fresh and almost uplifts your mood! So those are a few ways in which i’ve enjoyed my summer and had some of #PerfectDaysofSummer with a little bit of help from Nivea! What have been your fondest summer moments?